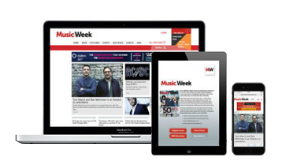 Digital Edition: The digital edition of Music Week magazine is only available to subscribers. Each week an issue is sent directly to your inbox, and is available online here the day before the official publication date. 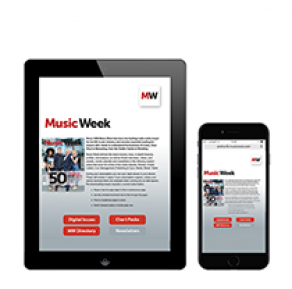 As part of your subscription , you will also have access to the digital edition via the Music Week IOS app. The new issue of Music Week puts the spotlight on Hipgnosis Songs boss and A-list manager Merck Mercuriadis. In a lengthy chat, the music mogul gives the lowdown on his billion-pound mission to reinvent publishing and opens up on his incredible career spent working with the likes of Elton John, Guns N' Roses, Morrissey, Nile Rodgers and Beyoncé. Also in this issue, former Association Of Independent Music events guru Lara Baker guides us through her new company The Bkry. Elsewhere in an action-packed edition, we speak to Live Nation's Phil Bowdery and Deezer's Nigel Harding about the K-pop phenomenon in the wake of BTS and Blackpink's astonishing success in the UK and US, and there are results from Record Store Day 2019 and news from BBC Radio 1. Plus! Steel Banglez revisits the making of Fashion Week, his recent Top 10 song with AJ Tracey and MoStack, in Hitmakers and Gang Of Four founder Andy Gill takes on The Aftershow.